The Elite runs Android 4.1 Jelly Bean with a thin user interface skin from Kyocera. Most of the basics are unchanged from stock Android, but long-time Android users will spot a few differences here and there. 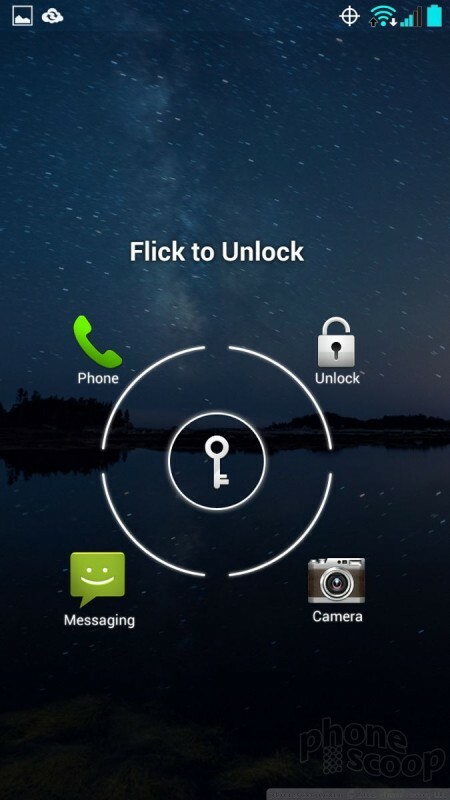 The lock screen offers four shortcuts thanks to a nifty little unlocking tool. A key appears in the center of the screen. 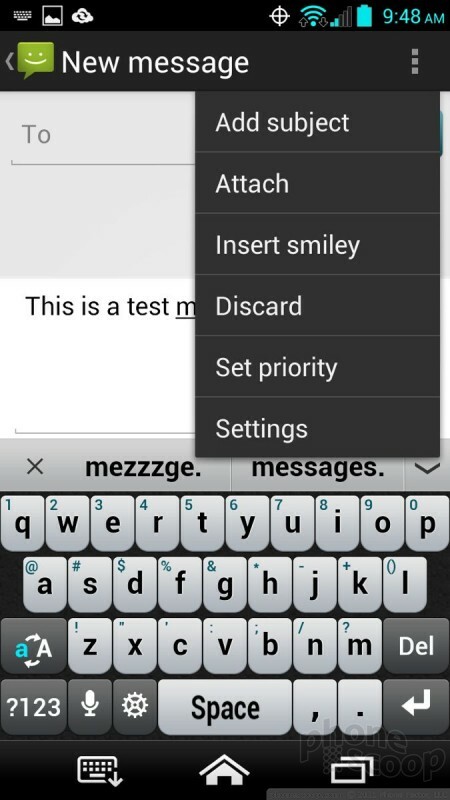 Users need to flick it to one of four different shortcuts, including the phone, camera, messaging, and home screen. 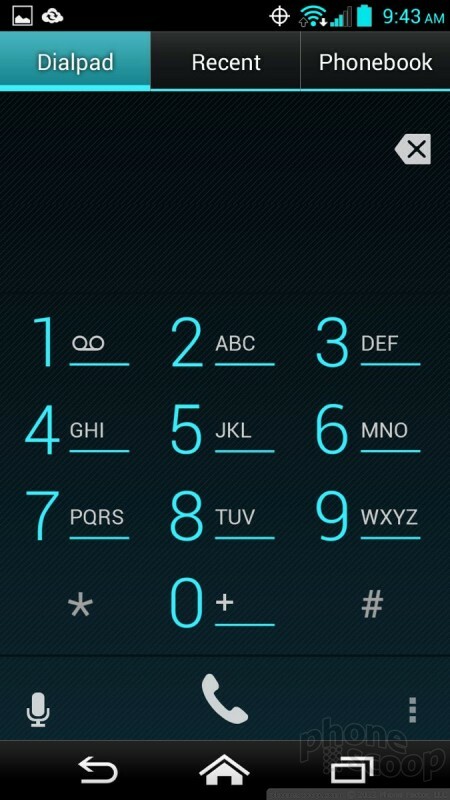 The notification shade is also visible from the lock screen. 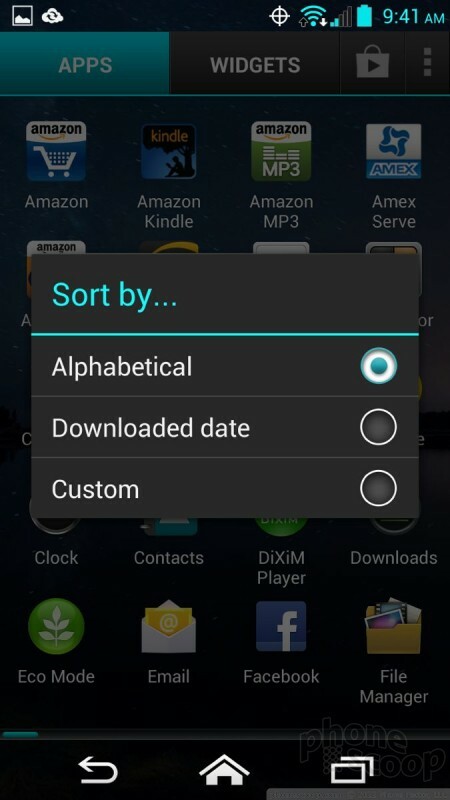 The Elite has five home screen panels out of the box, three of which are packed with shortcuts and widgets. 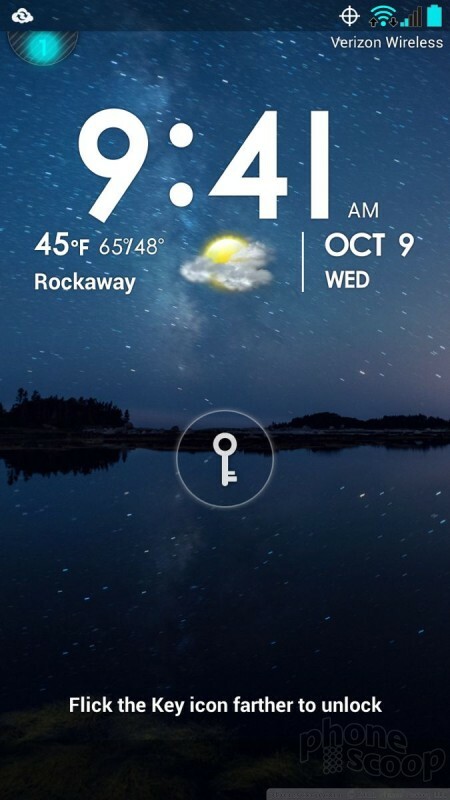 Naturally, users can adjust the home screens however they see fit. 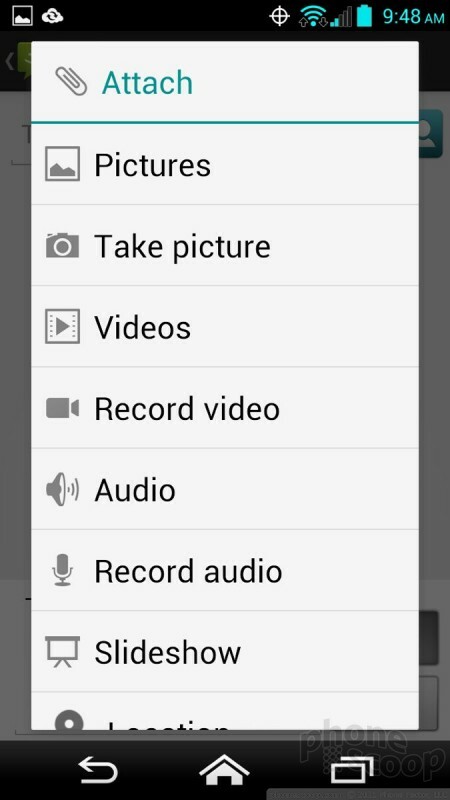 The main app menu is a grid of apps that can be viewed as an alphabetical grid, custom grid, or by-date grid. It cannot be viewed as a list. 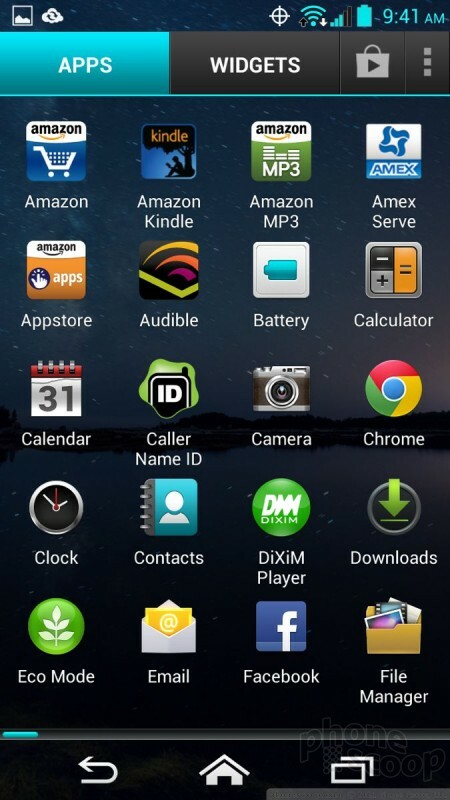 Apps can be placed in folders on the home screen or in the app menu. 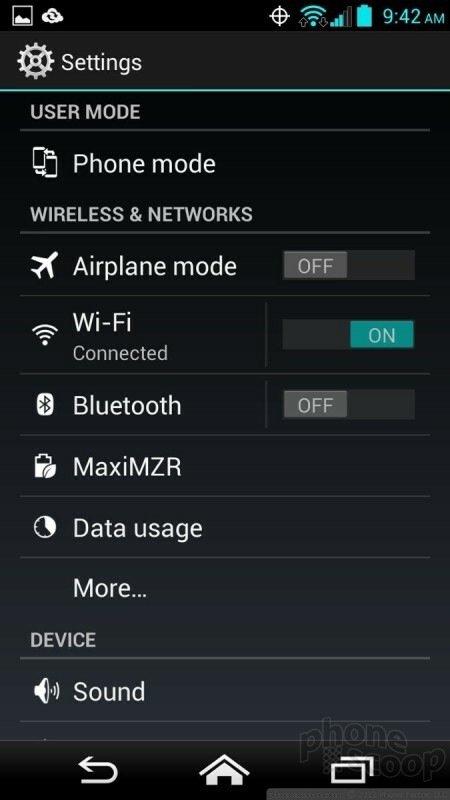 The settings tools are stock Android and offer access to the device's underpinnings. One extra feature offered by Kyocera is Starter Mode, which dramatically simplifies the look and functionality of the user interface for new users. 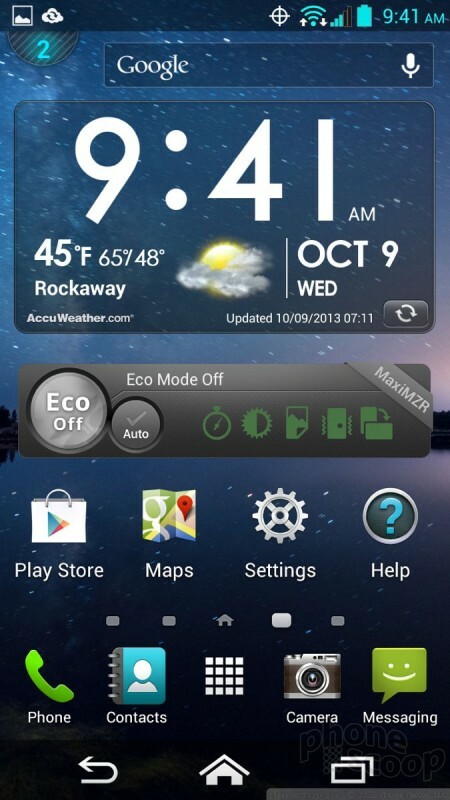 Kyocera recommends Starter Mode for first-time users, but keep in mind that it loses some of the more interesting features of Android, such as home screen widgets. 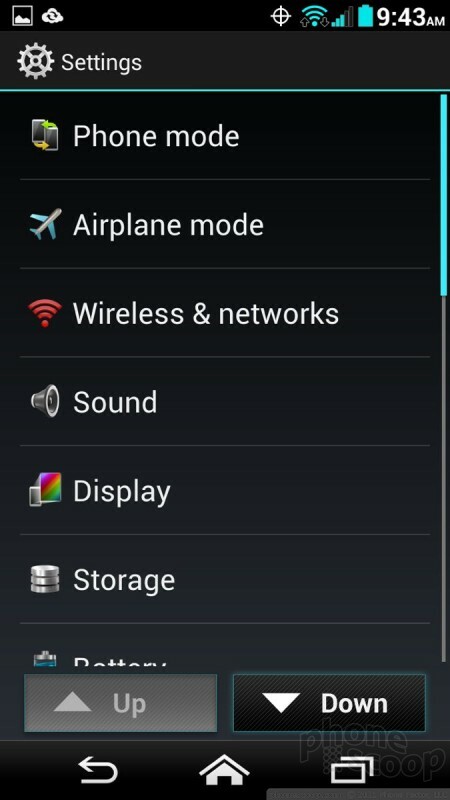 The notification shade provides access to toggles for the wireless controls, a shortcut to the main settings menu, and notifications. It's refreshing to see fewer controls clogging up the notification shade, (compared to what certain other manufacturers are doing.) With the Elite, you can actually see your notifications in the notification shade. The Elite has a dual-core 1.5GHz Qualcomm Snapdragon S4 Pro processor. It struggled. I noticed a lot of stuttering with screen transitions and other animations. The home screens, in particular, did not perform smoothly. Some apps opened quickly, and others opened slowly. I've seen much faster phones in recent months. 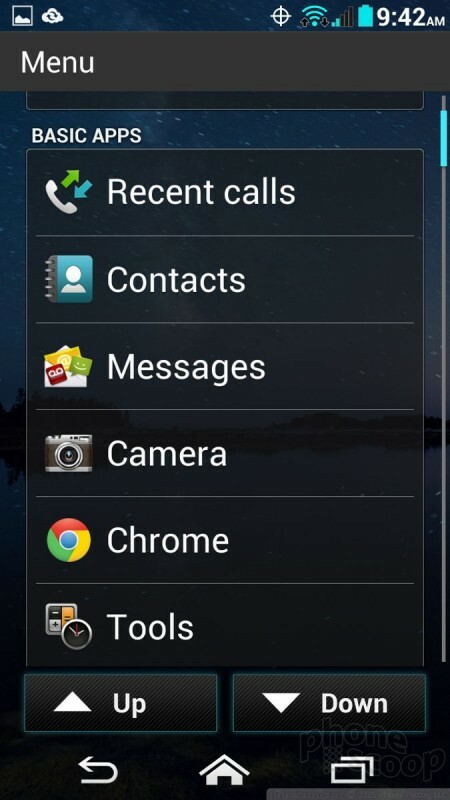 The phone and contact apps work on the Elite just about the same way as on every other Android 4.1 smartphone. 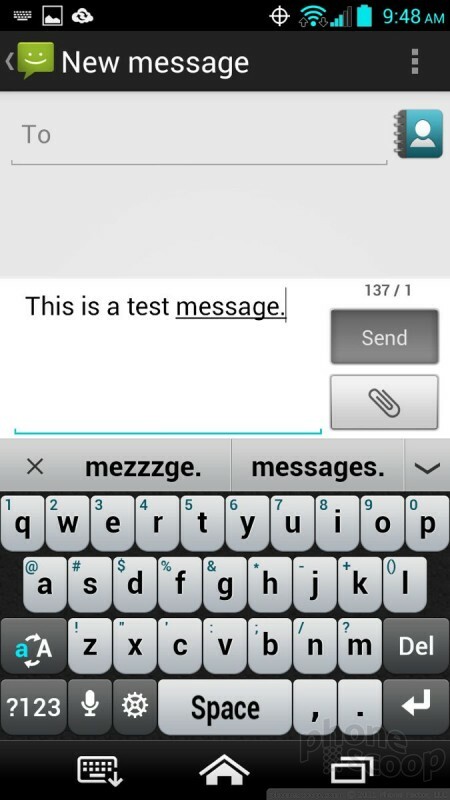 The phone app is unaltered from the stock version with one exception: the tabs that run across the top of the screen are labeled with text and not icons. This makes them easier to decipher at a glance. 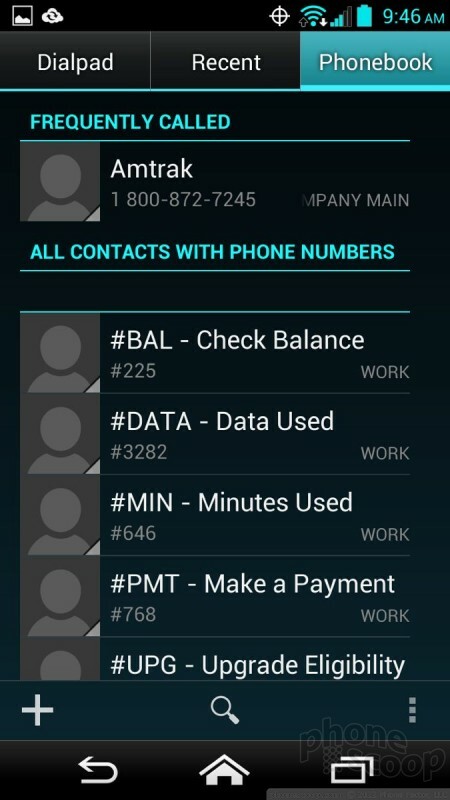 As far as the contacts app goes, there are the usual home screen widgets for direct contacts, as well as a nice widget for a collection of your favorites. The bigger widget lets you access your top nine contacts and gives you a cool UI for interacting with them on the home screen. 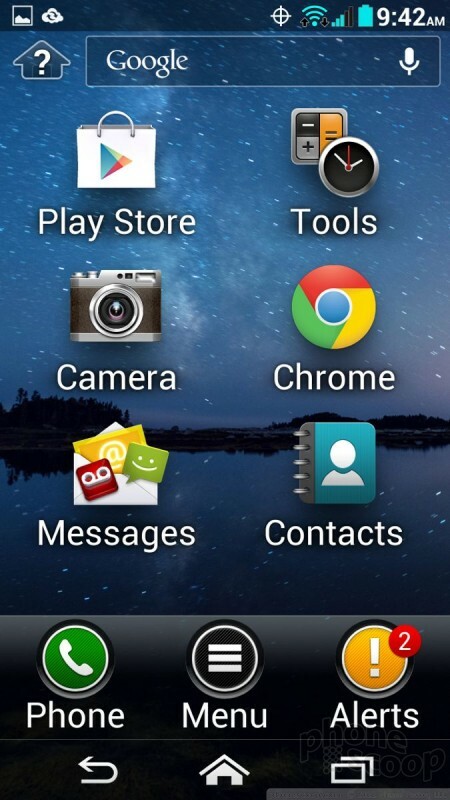 As far as messaging goes, the Elite has the stock Android tools on board. 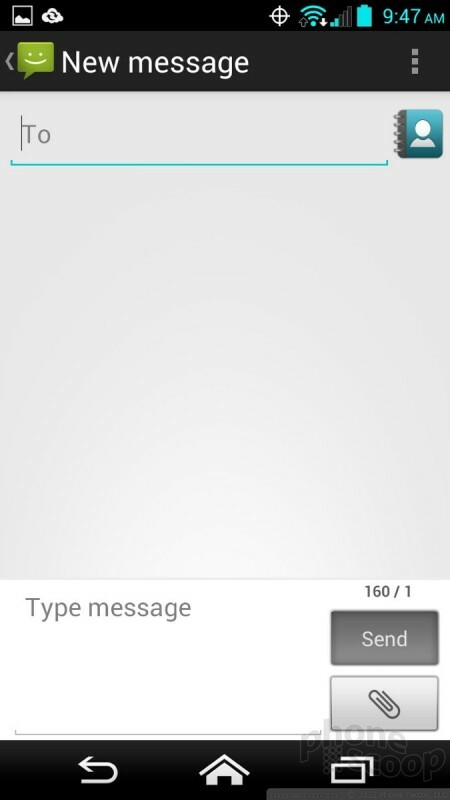 The SMS app offers nice, threaded conversations; the Gmail/email apps are great ways to manage your inbox; the Google+ app is good for keeping up with your G+ activity; and the Hangouts app is as powerful as ever for IM and video chats. Neither Facebook nor Twitter is pre-installed, so you'll have to download them from the Play Store yourself. Verizon Wireless today announced the Kyocera Hydro Elite, a waterproof Android phone. The Elite is the highest-end model of Kyocera's growing Hydro series, sporting a 4.3-inch 720p HD display, 8-megapixel camera, front camera, NFC, Qi wireless charging, 1.5 GHz dual-core processor, DLNA, global roaming, and a memory card slot. Documents seen on the Federal Communications Commission web site provide a few details about the Kyocera C6750, a monoblock device that supports the spectrum bands used by Verizon Wireless. According to the FCC, the C6750 is a world phone, too, as it supports GSM/WCDMA 850/1900 in addition to Verizon's CDMA and LTE frequencies. AT&T today launched sales of the Kyocera DuraForce Pro 2, an extra-rugged Android phone with waterproof body and a non-incendive rating. The 5-inch, full-HD display works through gloves and when wet. Kyocera and Verizon Wireless today announced the DuraForce Pro 2, a ruggedized smartphone that targets construction and public safety workers. The DuraForce Pro 2 is fully ruggedized thanks to its hard rubber exterior, meeting the mil-spec 810G rating.